I'm 1000% sure this has been brought up before but it's killing me. 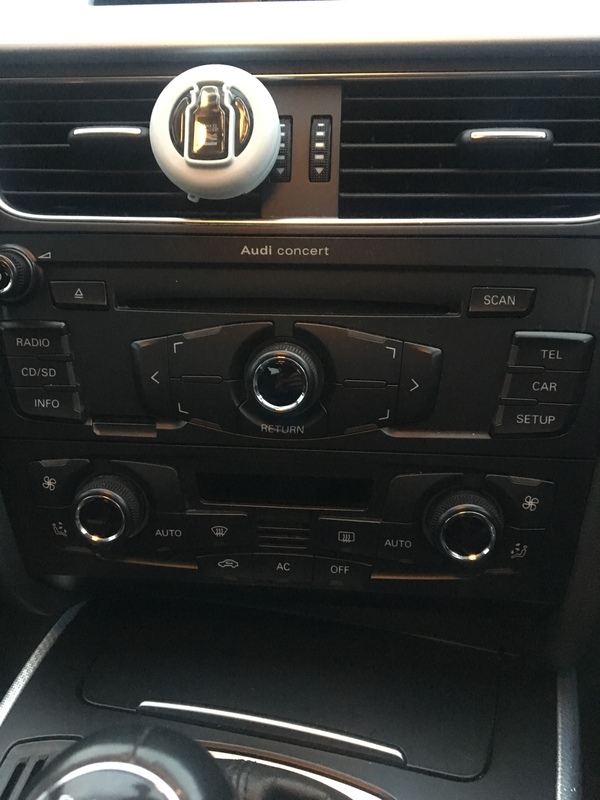 My A4 B8 has no aux or Bluetooth option which is crazy. Has anyone found a way past this without having to spend around £200 as changing and burning CDs is getting rather annoying now haha? Retrofitting the aux wouldn't be much. You can get the Bluetooth module from eBay but the parrot kit would probably be cheaper. I believe you can stream music from some of the newer parrot kits. I went down the route of fitting ami which was about £150 all in. If you have a concert or symphony radio you can get a AUX IN cable off eBay. Pretty sure its the one with the white 12 pin plug. On the concert it goes into connector B pins 1,2,7. 100% isnt one in the centre armrest for aux cable? My old mk4 gti didnt have an aux in, bought a kit on amazon by connects2 and it used the cd changer plug in back of the cd player, routed the wire in the glove box. Hi Meemo, I'm pretty sure you're localish to where i live. Yeah i've check, that area where you have your aux has like a cut out option. I'm guessing if one was requested when the original buyer bought it from Audi. Ive checked in the glove box also and there is nothing in there not even the connector pins which ive seen how ive seen some people hook an aux up. My car also didnt come with a CD changer option. if you can find out your head unit model, its very likely they do an aux kit for it. Is any of the units listed here yours as this could be for yours? They do bluetooth and apple connection ones too if you dig into their website. I previously had an apple one and could even skip tracks on my ipod from the cd player which was pretty decent. Sweet. Thanks for your help, is it going to be a case of removing the headunit to find the model number on the back jobby? should just say on the front if it is concert etc.. Think the slot to the right and slightly below "info" button is a SD card slot. I've put all music on a SD card and use that. 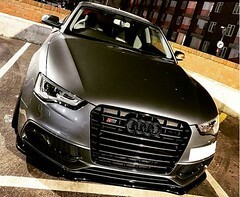 Guys does anyone know the part numbers of the cable and also the cradle for a 2009 A4? Just purchased this SD card put one song on and inserted it and doesn't work. Shows as no SD inserted. Any guesses why? Maybe something to do with the format which Audi reads at? Did you format the card first? Tune2Air plugs into your MMI slot in your glovebox and acts as the Bluetooth you were missing. I've just fitted it to mine and it's great, your phone acts as an iPod if you have an iPhone. I use spotify predominantly and it says the track info on the screen and you can skip tracks but you can't see a list of tracks unfortunately, it just says 'Spotify' as the track name if you scrolling through the list. Costs £69 from Amazon. This may provide a few options (including USB, iPhone, Bluetooth streaming/hands-free, newer SD cards, AUX-in), provided it's compatible! Currently developing Audi custom styling products - see website for details! Hello there…. I notice from your pic. You have the “CD/SD” button. I take it your A4 is quite an early 08 plate. Unfortunately you cannot add anything to these units connection wise. From about 58 plate onwards, the radio was upgraded and CD/SD button was changed to “media”. These can have AMI and Aux added. 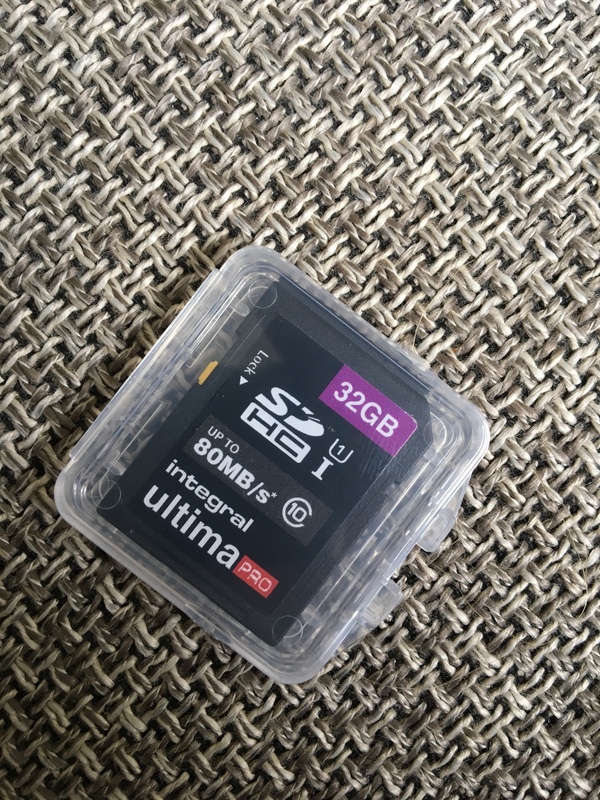 With this upgrade, came the ability to read SDHC cards up to 32gb, your's can only read normal SD cards up to 2gb, This explains your other problems above. I know this all too well, as I went through the same situation with my last A4 a few years ago, and there were no other options apart from buying a new head unit with the “media” button that could accept additional connections. This was around £200 including fitting for a brand new one from a Manchester based installer. Simple91 and Leebroath like this. i have a 2011 model B8 which has the media button. I have AMI installed in the glovebox which currently has an iPod (30 pin) adaptor in it. I also have an AUX connector in my arm rest, but it's never worked. Does anyone know if you can have both AMI and AUX on an Audi Concert? It'd certainly make my life easier if you can. Thanks. That's what I assumed. I have my iPod plugged into the AMI, but it would've been nice to have the option of plugging my phone in also to listen to Spotify etc without having to chop and change stuff in the glovebox. I'll have a look on Amazon. Cheers! Is this still the case with b8.5 (2013 onwards) cars with concert? There's so many out there with just concert and I can't believe that in 2013 Bluetooth streaming wasn't standard. I use an in car Bluetooth fm transmitter. Works perfectly, costs £15 ish. Cheers for this. Bought one. Waiting for it to arrive. The plan is to put it in the arm rest out of the way. No worries, yeah mines in the arm rest too. Will the VICTSING FM Transmitter be able to play music from my car even though I curently can only use my blutooth for phone calls? It's a 08 A4. Soon find out myself. My Note 8 can split Bluetooth apparently. So hoping I can also set car as phone calls, transmitter as audio. Please let me know if it works feva & I'll order one if it does. Thx. Certainly will do. But I'm an android user so maybe different for IPhones not sure never had one.